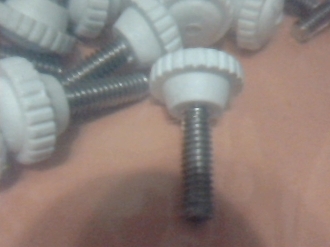 Small Thumb Turn Knob Screws, 1/4-20 x 3/4″, Stainless Steel, with Shoulder, Choose amount desired from 6 pieces to 50 pieces. 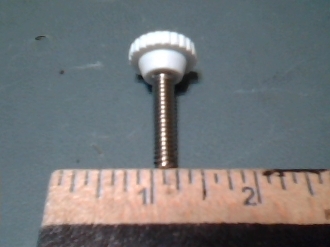 Total length is 1 1/4″. 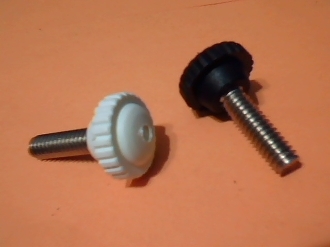 These Small Turn Knob Screws can be used with locking pins as a replacement for the winged thumbscrew if desired. Choose desired total Pieces Set, then Quantity 1,… or Quantity 2 to Double the pieces set.